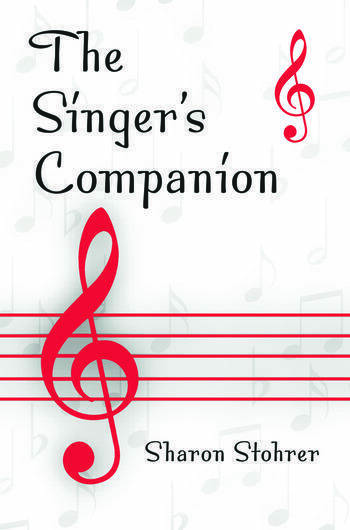 "The Singer’s Companion" provides both beginning and advanced students of singing with a basic, reliable, and readable introduction to the many issues focusing on training and maintaining a healthy voice. It covers all the fundamental issues faced by vocalists in all styles of music, including how to find a good teacher, work with a score, audition, and perform. Stohrer has written an essential text for students of singing, offering up-to-date, accurate, and accessible information that will be invaluable to singers and their teachers. Sharon L. Stohrer has taught voice and the related areas of stagecraft, lyric diction and vocal pedagogy for New York University; the College of Saint Rose in Albany, New York; Newberry College and Anderson University in South Carolina; and Keene State College in New Hampshire. She is active as workshop facilitator, helping musicians overcome performance anxiety.